R2C is looking for local volunteers to help us with new product developments for 2016-17. If you live in the Chicagoland area, we'd appreciate your assistance. You will be compensated for your efforts. Attention Mopar owners that have already equipped their cars with a Mopar CAI system. Now you can take advantage of Black Hex filter technology and improve the performance of the Mopar CAI. 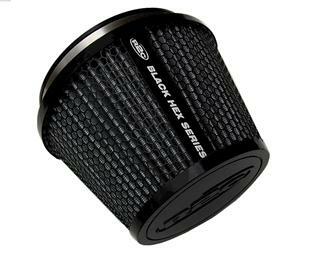 Black Hex direct replacement filters for 5.7 Mopar CAI systems. Order yours today! 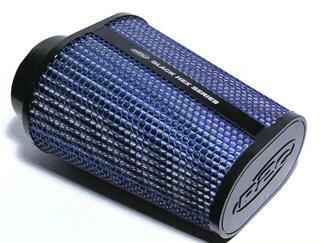 The World's Most Powerful Air Filters! *Don't waste money on current drop-in "performance" filters! They will provide virtually no performance gain and the efficiency (engine protection) when compared to the stock filter is reduced dramatically. In testing, a current drop-in filter reduces total intake system restriction by only .3" W.G. No engine will even detect that minimal reduction in pressure drop. An R2C Challenger R/T - SRT Cold Air Intake reduces factory restriction from 14.9"+ W.G. to 5 .7"! That's a significant decrease in total restriction and improves performance over any current 5.7 or 6.1 CAI available today! Premium, American Made Performance Products! Incredible engine Sound - Mild during normal cruise and incredible at full throttle! Experience it. · Nearly 30% more internal tube volume for massive, low restriction air flow. Supports additional bolt-on modifications and tuning. · R2C 2000 CFM Black Hex lifetime performance air filter. No air filter oiling and no poor performing gauze filter media. · Simple installation! Take's an hour or less with basic hand tools. Factory support always available. R2C's Hemi Challenger Cold Air Intake blows the competitors away at Mr. Norm's Dyno facility! Designed by the same engineers that build the most sophisticated, severe duty intake systems for the U.S. Military, R2C's computer designed Hemi cold air intake systems for Challenger 5.7 and 6.1 applications provide proven dyno and track horsepower and torque gains that exceed the competition while improving engine sound and filtration. Featuring the new standard of performance air filters, R2C manufacturers the only performance cold air intake systems that produce significant power gains and improve engine protection and efficiency over the OEM air filter. Plus, no filter oiling is ever necessary. Air filter cleaning is simple using a vacuum or compressed air from inside out as well as being fully washable using biodegradable detergents. No one has more performance intake design experience than R2C! Bolt-on Gains of 15+ Horsepower and 13.9+ lb./ft of torque on 5.7 applications without tuning with our standard filter. · * *Tested at Mr. Norm's dyno facility with a variety of Hemi owners on hand to observe the testing process. Why is the R2C Challenger Cold Air Intake better? Over 7 decades of developing spohisticated military intake and filter technology separate R2C from all cold intake system manufacturers. CFD and velocity profile mapping are vital tools that enable R2C engineers to maximize the profile width and reduce restriction within the intake tube. The patented, computer designed shape of R2C's Challenger intake promotes a wider profile and utilizes more internal volume within the tube in bends. More Intake Air Density and Increased Manifold Pressure - ideal profile speed through the system. Guaranteed to be the Best Challenger R/T - SRT cold air intake available! Systems normally ship within 48 hrs.